The GA President's website, “Presenting the President-elect” has been developed in lieu of the tradional press kit. The site offers not only the biography of H. E. María Fernanda Espinosa Garcés, the first woman from Latin America and the Caribbean to hold this position, but also her seven priorities, as well as her vision statement and acceptance speech. The site, available in all official languages, will be updated day in, day out to reflect mandated events – about 30 during this session – as well as side events, which may number as high as 400 over the course of the President’s 12-month tenure. The standing URL of PGA73 site will be https://www.un.org/pga/73/ as of 18 September at 10:00 a.m.
General Debate When the General Debate starts, follow the interventions of heads of State and Government. Statements in all languages, audio and video will be provided. Resource Guide to the General Assembly Media content at-a-glance. Journal of the United Nations Lists the daily programme of meetings in the 6 official languages. Access to the United Nations complex during the high-level meetings will be restricted to delegates and their staff; staff members of the United Nations Secretariat and of the funds, programmes and agencies of the United Nations system, accredited media and affiliates who have been issued a United Nations grounds pass. Members of civil society and non-governmental organizations who are invited to attend the high-level meetings or other events will be required to have a governmant-issued identification and a special event ticket at all times. 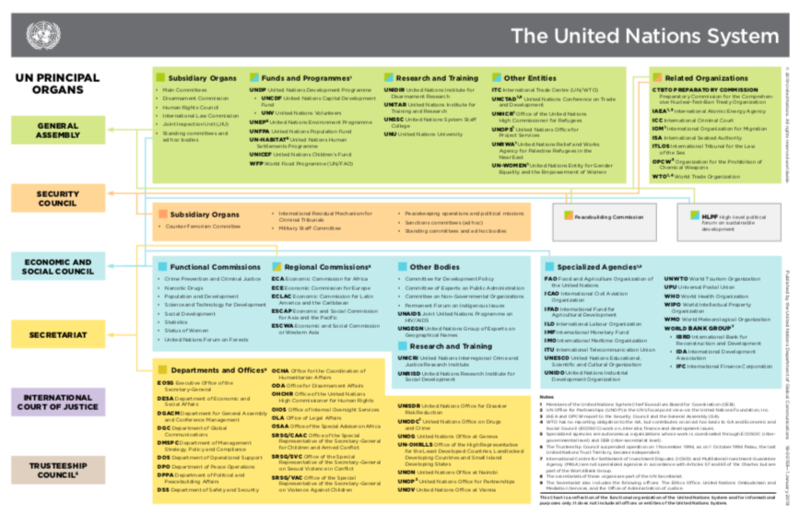 The UN on Social Media- List of the official UN social media accounts. Facebook and Twitter are available in the 6 official UN languages plus Hindi, Kiswahili and Portuguese. Social Media Preview The Social Media team shares with all staff members the hashtag for the events and campaigns, material used for its online campaigns, and sample tweets which you can post on your own channels. The main hashtag is #UNGA. GA Board on Trello Be sure to follow the recommendations of the Social Media Team on how and when to use the material, and the general Social Media guidelines. UN Blog The UN Blog brings you updates from the social media team, with recaps of what happened. SDG Media Zone 24-28 September. A live broadcast of interviews, panel discussions and other digital content—to engage people all around the world in the important conversations happening at the UN General Assembly. The hashtag will be #SDGLive. VIP Social Media Space 24-28 September. High-level attendees are invited to showcase their commitment and actions by visiting the VIP Social Media Space, which will be located on the west side Visitors’ Lobby behind the ceremonial stairs. Several activities will be available such as Instagram Studio, Facebook Live Studio or Twitter mirror. Video Teaser "Get ready for the 73rd UNGA"
UN Audio Channels app Android / iOS - Listen to the live coverage of many UN General Assembly and Security Council meetings. Available in Arabic, Chinese, English, French, Portuguese, Russian, Spanish, and Kiswahili.